You are here: Home / reviews / Lake Geneva Residential Seal Coating Success! Armored’s asphalt maintenance contractors make sure every project goes off without a hitch; by properly planning each seal coating appointment, repairing any cracks for a longer lasting seal, and applying two coats of high quality sealant for ultimate protection. We do it all for a low cost too! Our hard work and dedication to client satisfaction is worth it when customers like Michael make us their go-to seal coating company; even more so when we save our clients’ money on their asphalt investment. 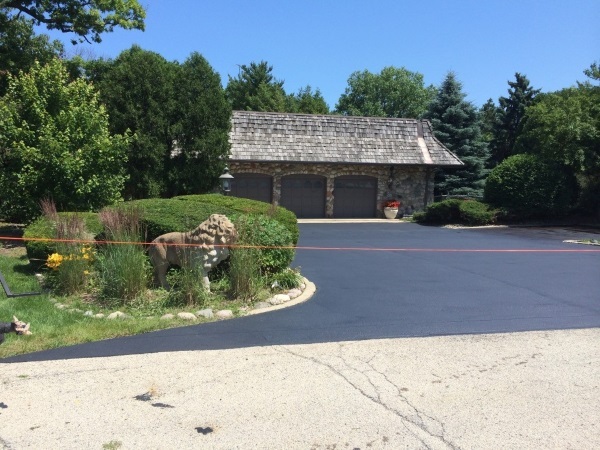 For asphalt services in Lake Geneva and other surrounding SE Wisconsin areas, choose Armored Sealcoating. If Michael’s review isn’t enough to convince you Armored is the right choice for seal coating, check out our gallery to see some of our work first hand. Contact Armored Sealcoating for a free estimate on seal coating services in Lake Geneva, WI.